The promise of entrepreneurship is exciting; it speaks of financial abundance and personal freedom. The reality, however, is often very different. Many business owners end up working ridiculous hours and sacrificing their health, time with their families and their dreams in the pursuit of the dream. Whether you are already established in your business or you are still sitting on the entrepreneurial fence, the Business Freedom Experience is a practical and powerful program that will show you effective strategies for making the important transition from self employment to true business ownership. Business Freedom Experience takes place a few times each year in various business centers around the world. If you want to build a successful business that enhances the quality of your life and gives you real personal freedom, then Business Freedom Experience is your next step. Where do you rank on the Business Freedom scale? Take the Business Freedom Audit Quiz today to find out where your business lands. Imagine your ideal day, week, and month. Your business is thriving. You’re creatively fulfilled. Your family is healthy and happy. Your life is full of joy. Can you see that vision in your mind? With the Business Freedom system, you can make that dream a reality. 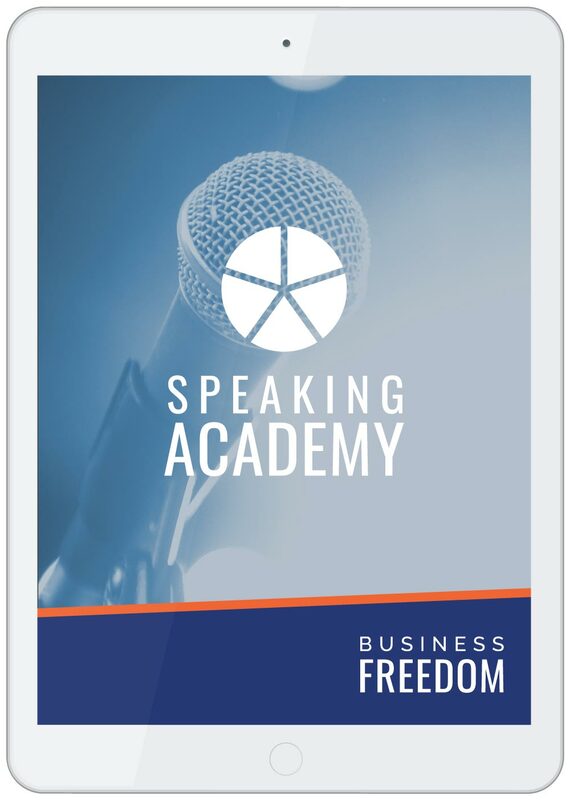 The Business Freedom Speaking Academy is a LIVE event and is taught in a variety of cities around the world. The 5-day event is intensive and intimate and as such has limited availability and is only available by application.